If you’re not in the mood for green beer, or even if you are, I guess, Amazon’s next subscriber-involved pilot season will premiere on St. Patrick’s Day, Friday, March 17, 2017. The five new pilots you can watch and review, to give your input on which shows Amazon should greenlight are: The Legend of Master Legend, Budding Prospects, The New V.I.P.’s, The Marvelous Mrs. Maisel, and Oasis. The new pilots come from Amy Sherman-Palladino, Micah Fitzerman-Blue, Noah Harpster, Terry Zwigoff, and Steve Dildarian. Featured actors include: Rachel Brosnahan, Tony Shalhoub, Richard Madden, Anil Kapoor, John Hawkes, Will Sasso, Ben Schwartz, Haley Joel Osment, Dawnn Lewis, Shea Whigham, Joel David Moore, Brett Gelman, Matt Braunger, and Missi Pyle. Learn more from the Amazon press release. SEATTLE–(BUSINESS WIRE)–Mar. 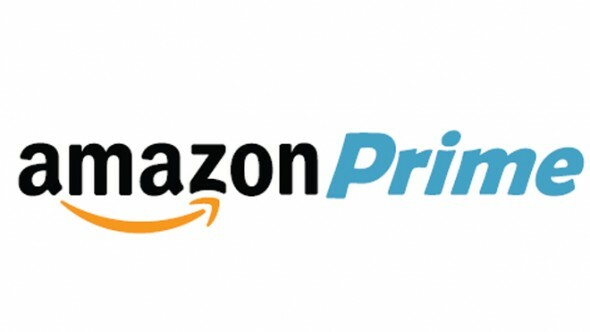 2, 2017– (NASDAQ: AMZN)—Amazon today announced its lineup for its Spring 2017 pilot season which will debut on Amazon Video on March 17 in the US, UK, Germany, Austria, and Japan. Amazon is continuing its tradition of extreme variety this pilot season, including The Legend of Master Legend, from Noah Harpster and Micah Fitzerman-Blue (Transparent), about a homemade superhero in Las Vegas juggling the demands of his duty and his family; Budding Prospects, from Terry Zwigoff (Bad Santa), a 1980s pot comedy based on the T.C. Boyle novel of the same name; The New V.I.P.’s, from Steve Dildarian (The Life & Times of Tim), Amazon’s first adult animated comedy where a group of low level employees seize control of a major corporation after accidentally murdering their boss; The Marvelous Mrs. Maisel, from noted creator Amy Sherman-Palladino (Gilmore Girls), about a 1958 New York City woman who goes from uptown housewife to stand-up comic in Greenwich Village; and Oasis, from Matt Charman (Bridge of Spies), that follows a chaplain who is sent into space to help establish a colony on a distant planet. What do you think? Will you watch the new Amazon TV show pilots? Which ones do you think have the best chance of being ordered to series? More about: Amazon TV shows: canceled or renewed?, Budding Prospects, Budding Prospects: canceled or renewed?, Oasis, Oasis: canceled or renewed?, The Legend of Master Legend, The Legend of Master Legend: canceled or renewed?, The Marvelous Mrs. Maisel, The Marvelous Mrs. Maisel: canceled or renewed?, The New VIP's, The New VIP's: canceled or renewed?